Which Writer Will Make It? The Writers’ Litmus Test. The last week – for me – has to have been one of the best so far. I was tremendously excited when Children of The Plantation reached 209 on Amazon.com best sellers list and for twenty-four hours it was in the number one position in ‘movers and shakers’. To have reached those ‘heady heights’ resulted in some tremendous sales on Amazon.com and I must thank each and every one of you who bought a copy of the eBook. The Assassins’ Village did very well too. Thank you! Strangely enough though, sales were not so strong on Amazon.co.uk. Although sales have been pleasing they are nowhere near as buoyant as on Amazon.com. Perhaps the economy is scraping along rock bottom, or the UK market is not so aware of eBooks, I’m not sure. Even so with Children of The Plantation at only £1.14 (99c) I would have thought most people could afford it. I sense a mystery here that needs looking into! I’ve been a published author since, ‘The Crossing’, my first novel, was published in 2009. Since then and more recently I’ve met and corresponded with dozens of unpublished writers. Each writer has their own hope and dream about writing, and I’ve spent many an hour commiserating over tales of rejection, sparse sales, sharing good news, and hearing more plots than MI6, FBI or Mossad ever have. Listening to all these hopefuls, I’ve discovered something significant. I couldn’t in a thousand years tell you who will eventually succeed. But I can tell you in about five minutes which writers are certain to fail. The guaranteed failures carry their amateur attitudes and beliefs like a second skin or bad perfume. There is an ever pervading cloud of Eau de Tragedy emanating from their bodies and wafting into the noses of readers, publishers and editors who might otherwise be interested in the writer’s work. If you even suspect you’re wearing this scent, you need to lose it, now. And you can do this by taking The Writers’ Litmus test. How often do you hear the word ‘but’? Aagh! At this point, I want to bang their head against a wall. I don’t necessarily think that my advice will turn this writer into an overnight success, or get their manuscript looked at. Neither is it because so far they are ignoring me. The problem with these ‘But people’… is that they have already decided that they know everything they need to know about writing. They may be talking to me with any manner of idea, possibly hoping to network, or because they think their work is brilliant and they want me to agree. This will not get them published, be it traditional or eBook publishing. ‘But’ is probably the worst excuse you can make for your writing while hoping to succeed. There’s no point in saying, ‘But I want my book published by…la di da’, when you know it isn’t possible as that publisher doesn’t publish that genre. Or if your manuscript is returned because your plot is hackneyed and your characters are thin, “But I planned it to be that way . . .” is not the right answer. If your editor, beta or proof readers tell you that you need to give the story a real ending, “But I want to leave the reader in suspense . . .” is going to get you nowhere except a lost opportunity. Editors don’t clean up the spelling and the grammar, it’s down to you. If it’s suggested you get cracking on a second book do so…unless you’re a celebrity, one book will not make your fortune. Remember, no one has to buy your book; there are many more thousands out there. If it isn’t selling anywhere, write something different. You cannot make excuses for your writing and hope to succeed. Don’t think you know all the answers, that you’ve done all your homework. The best thing is to listen to the information being given. Real life is not school, where you have a test and you receive an ‘A’ for knowing the answers. Remember, if you assume that the words flowing from your fingertips were dictated to you by God, only you and God are ever going to get to read them. And remember also, no perfume – not even Eau de Tragedy – sticks forever if you wash it off. Don’t make those excuses, listen to those who have succeeded and take their advice. If you are told to revise, do so, you can leave your tragic past and failures behind. I truly hope this article doesn’t sound patronising in any way, as I am passionate in what I believe in. There are some fantastic people out there who are extremely experienced and a lot of their advice is free. You can sell your work –so go out and do it! What do you think? Thank you for reading this latest blog post and thank you for taking the trouble to buy and read my books – I’m not the best writer in the World, not the most successful, but I am listening to you out there and learning from what you tell me. Have a great week everyone. Great blog, Faith and so very true! Love your article, love the 'but'. At the Business School we had a saying that if people replaced 'yes, but' with 'yes, and' they'd be on the first rung of success. Oh, I clicked something and it all went pear-shaped. Anyway, if the first bit arrived for moderation, please marry it with the rest. You're right when you say that people should and can learn to write better and that listening is a good way of moving forward. I also agree that what we write isn't dictated by any kind of God. OTOH, what we write and how we write is what we are and who we are. My advice would be that every writer should try and share the readership of the authors they most admire. Once they've managed to reach that audience and managed to elicit a response from them (a monumental task), then they should follow your advice to the letter. And, as you say so brilliantly, change the aftershave. I do not consider myself a writer. I have only written one technical book so I will safely classify myself as a reader. Lately my focus has been using twitter to search for interesting well written books. I download some recommended ebooks and give them a go. What I am finding is that there are many mediocre books written by less than brilliant authors. 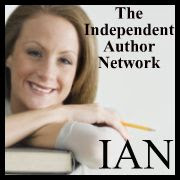 I want to give indie authors a chance as the big publishing companies are not. I do know there are some gems to be found so it is worth it. What makes it difficult is the bias reviews and 5 star ratings for boring books. The best ones are lost in the crowd. It is great to read some honest reviews and those are the sites I will return to often. Thank you. Good day, Faith! I think there is a lot to be said for writing another novel. Many of them, in fact, and not just for financial reasons. You learn a lot from your first novel. You don't realise how much, maybe, until you've written the next one and the one after that. Writing a novel is never easy. But eventually you begin to feel that you know what you are doing. It's at that point that you can ignore other people's advice and write the novel that expresses the real you. Those are the novels most worth reading. Sometimes people achieve it with their first one. There are some very gifted writers out there and every one is different.